Providing you the best solution on how to fix mushy rice is the primary goal of this article. And so, if you want to learn that trick, continue reading! For billions of people all over the world, rice is considered as a staple food. For some, cooking rice could be so easy, but there are other cases wherein cooking rice is considered as a predicament. It could be a bit tricky, in fact. Putting too much water leads to a soggy rice while minimizing water could lead to being undercooked. With this, you might find yourself asking how to fix mushy rice. But fret no more as there could be different ways to consider for you to rescue this issue without putting your rice into waste. Let us learn more through the rest of this post. How to Properly Cook Rice? Step 1. Rinse or perhaps soak the rice grains. Step 2. Cooking the rice. Step 3. Allow the rice to rest. 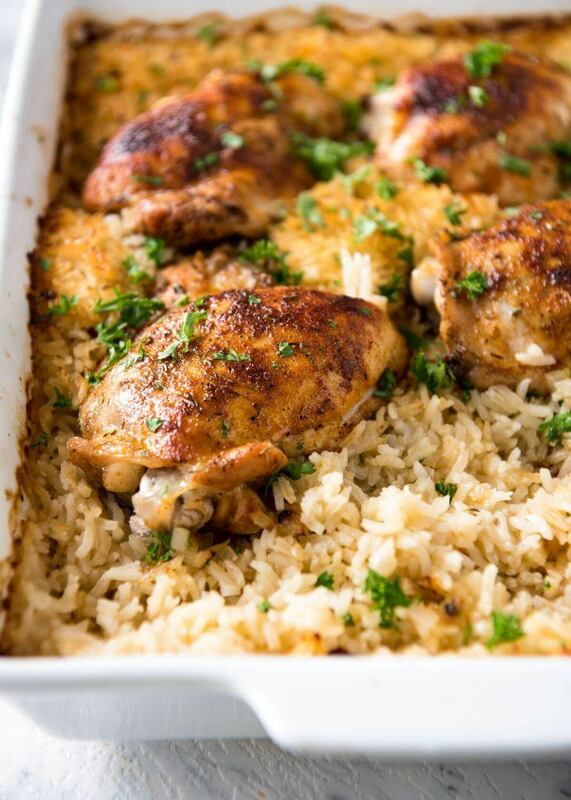 If the rice is too wet after cooking, you have to turn the rice and empty it on the baking sheet. Allow this rice to dry on low oven heat. There is a hard and chewy midpoint as the cooking time has elapsed, you need to add a quarter cup measure of water as for covering the rice. And just let the rice to slow cook within the next five minutes. Once the rice is burnt under, the thing you need to do is to put the pot in a container of cold water in order to stop the burnt aroma from the idea of permeating the entire rice. Slowly tip off the rice from the pot to the bowl after two minutes. Mush grains might also happen, and so you should try the rice pudding option. These are just among the possible things that might happen if we are into cooking rice. Though the process seems to be so easy, still bear in mind that it could also be a bit tricky. But, being able to know what to do next if these cases happen could help a lot. That’s why we are going to discuss how to fix mushy rice further. Remembering the cardinal rule when it comes to cooking rice is important to have a favorable result. And this rule refers to the right use of water to rice ratio. Bear in mind that if the water level is too low, expect a poorly cooked rice and too much water leads to overcooked. If in case that the rice is mushy, the best thing to do is to pour it on the baking sheet then microwave it. This is the most common solution by the majority. And also take note that a soggy rice needs the idea of rice pudding. Begin by removing the lid from the pot. And with the use of the two potholders, you must hold the sides of the pot so you could ditch the excess water from your rice. Put back the pot on the stove, however, don’t put back the lid. Put the pot on low heat for the rice to continue cooking. This might slowly evaporate the excess moisture and the remaining water. You have to check it from time to time once the rice has dried out. Now, turn the flame off and let the rice sit for about a minute before removing it from the stove. And finally, you can now serve the rice. First, tear out a piece of the parchment paper and use it as for covering the baking sheet. With the use of a spoon, scoop the soggy rice and evenly distribute it over the baking sheet that is covered with parchment paper. It is recommended that you spread the rice in a fragile layer for the rice to dry out a lot faster. Put the baking sheet in the fridge. 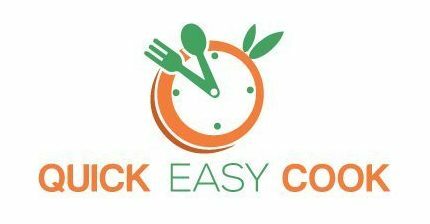 And after 20 to 30 minutes, you have to open the fridge and check once the cooked rice has already dried out. And finally, remove the baking sheet from the refrigerator and put it in the microwave for reheating the cooked rice then serve! Remove a part of a parchment paper which is wide enough in order to cover the baking sheet. With the use of a spoon, scoop the rice and put it on the baking sheet that is lined with the parchment paper. You have to spread the soggy rice equally. Place the baking sheet in the oven. Heat it on low heat. You also need to open the door of the oven a lot often to check whether the rice has dried out. Then, turn off the oven, but you have to allow the rice to stay there for about a couple of minutes. 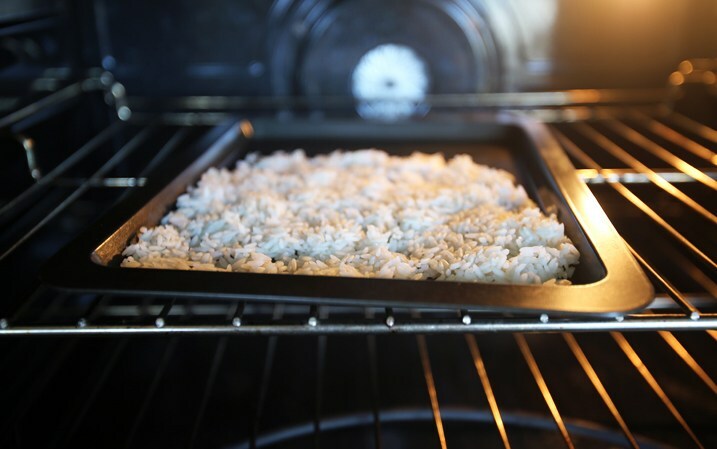 And finally, remove the baking sheet from the oven with the use of potholders and serve the rice. Set a handful of salt in the small sauce bowl. And put this bowl in the rice pan. There is a need for the salt in the small sauce bowl to absorb the extra water after ten to fifteen minutes. These are the tricks that you should try if you find yourself facing a mushy rice scenario. Indeed, you shouldn’t be worried whether how to fix mushy rice if you know these tricks. Always follow the right ratio: a cup of white rice for a cup of water once cooking the short grain white rice. For those who will cook medium grain white rice, using 1.5 cups of water for every cup of rice must be considered. The ratio might be different once you plan to cook brown rice since it requires more water. It is advised that you use a cup of brown rice for every two cups of water. And finally, avoid stirring the rice as this could activate the starch leading for the rice to be soggy. If you don’t want the idea of having a mushy rice then always take these tips or pointers into consideration. It is advised that you rinse the rice in a few changes of cold water because of certain reasons like it removes loose starch, so the rice becomes less sticky. But even if you don’t soak rice, still good results await you. However, bear in mind that you have to drain the rice thoroughly. There could be different ways to cook your rice, but the absorption method is considered as the simplest one. Here, the rice is will be cooked in a measured quantity of water in order for the time that the rice is cooked, all the water has already been absorbed. Once the water level drops, the trapped steam would finish the cooking. Take note that this method requires the use of correct water amount. And also, use a heavy-based pot having a tight-fitting lid which keeps the steam in. The liquid must already be absorbed, and the rice is now ready after around 12 minutes. But if you are to save the rice immediately, it will have a drier and fluffier top layer compared to the bottom that is very fragile and moist. And that’s why you need to allow the rice sit for at least five minutes letting the moisture redistribute resulting to a more uniform texture and fluffy top and bottom. See? You don’t have to panic or worry if you happened to get a mushy rice. Why? Simply because there are solutions that will help you salvage a mushy rice. The tricks discussed earlier are so easy to do and you will not be required to exert too much of your time and effort. 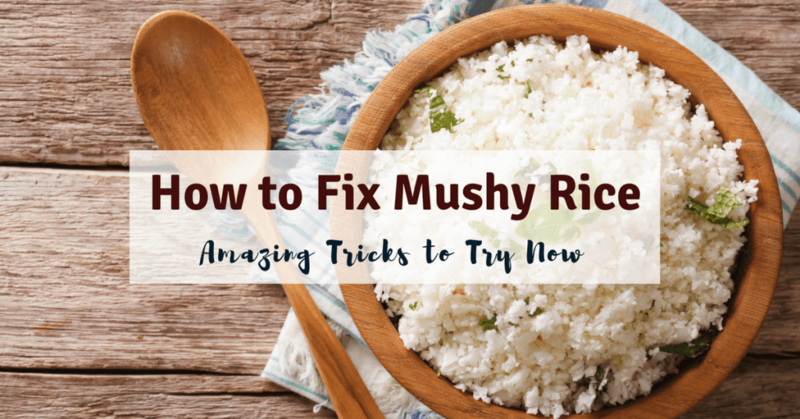 So, the next time you experience soggy rice, don’t forget to turn into these tricks on how to fix mushy rice. For your questions or suggestions, feel free to leave your thoughts below! Thank you!